Our psychotherapists are fully qualified and accredited members of the British Association of Counselling and Psychotherapy (BACP) and members of the British Association for Behavioural & Cognitive Psychotherapies (BABCP). Each therapist specialises in a Cognitive Behavioural Therapy approach to counselling and has experience in treating individuals with a wide range of emotional distress; communication and behavioural difficulties. Our therapists adhere to the BABCP Ethical Framework for Good Practice and are committed to providing confidential and effective personal therapy within a safe and supportive therapeutic relationship. 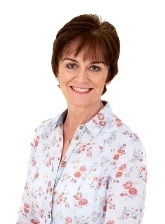 Róisín has worked as a therapist and trainer in a variety of settings for over ten years. She has a background in Integrative Counselling which draws knowledge and techniques from a range of theoretical approaches; this informs and enhances her specialised Cognitive Behavioural Therapy. 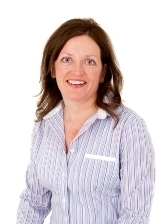 Róisín provides goal orientated CBT to clients in the NHS and in her Private Practice. Róisín’s therapy promotes and facilitates CHANGE so that clients will enjoy a better life experience. Anne began her professional career as a social worker specialising in the field of Health and Disability. She spent 15 years in Health and Social Services in Belfast and developed a particular interest in the field of trauma and cancer. Anne gained a Postgraduate Diploma in Cognitive Behavioural Therapy (CBT) and now works both for the Health Service and in a private capacity. Anne believes the quality of the relationship between the therapist and the client is fundamental to the successful outcome of treatment.